This is TRA5881, a pair of Kuhmo Tires pre-mounted on SCT Wheels from Traxxas. Satin chrome, black beadlock style wheels. 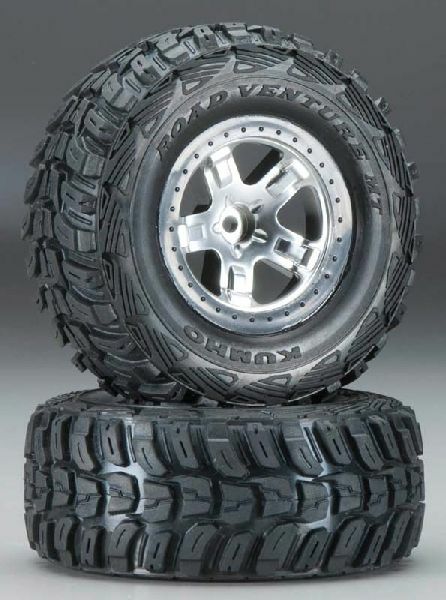 Kuhmo style tires with foam inserts. INCLUDES: Two Kuhmo Tires pre-mounted on SCT Wheels. REQUIRES: Installation on to vehicle.